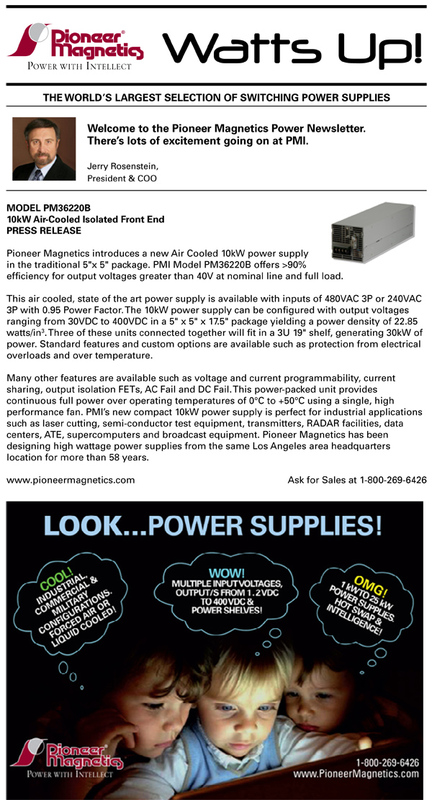 Premier manufacturer of switching power supplies, Pioneer Magnetics, Inc.
Pioneer Magnetics introduces a new Air Cooled 10kW power supply in the traditional 5"x 5" package. View our complete line of switching power supplies on line today. Major Power and Pioneer Magnetics, Inc. would like to wish you a very Happy 4th of July. 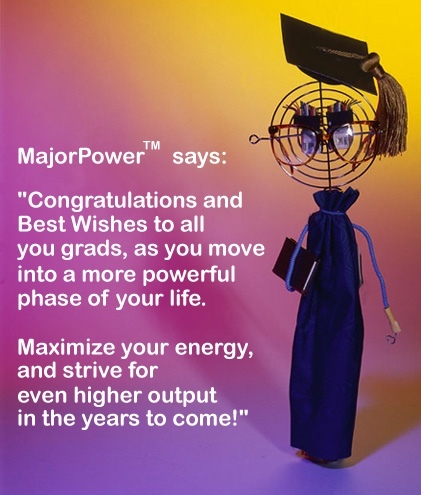 Switching Power Supply Message to All Graduates. Congratulations and best wishes to all you grads, as you move into a more powerful phase of your life. Maximize your energy, and strive for even higher output in the years to come! Switch Mode Power Supply Manufacturer. Major Power has a Hot Message for all you guys and gals out there looking for the finest switching power supplies available, PERIOD! Hot message for ac-dc power supply customers. lend me your ears. 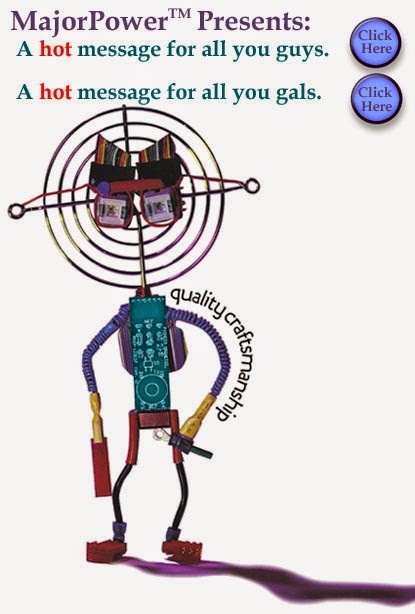 We have come to praise Pioneer Magnetics, Inc., not to bury the competition. Contact our Ides of March sales representatives today for all your switching power supply needs. Pioneer Magnetics, Inc. can usually offer a replacement power supply product for an application where a competitor is no longer in business and/or is no longer servicing its older programs. Typical examples of switching power supply companies no longer in business are HC Power, LH Research, AC-DC, Astec, Todd, Cherokee, Lambda, Qualidyne, Jeta, Farnell, etc. Pioneer Magnetics is primarily a low voltage and high power AC-DC Power Supply company. Our highly trained staff is available to go over all of your switching power supply requirements today. We would urge you to visit our website for the latest news! Power Up Your Switching Power Supply Needs with Pioneer Magnetics! Premier Switching Power Supply Manufacturer, Pioneer Magnetics, Inc.
Pioneer Magnetics, Inc. specializes in high-power - Low Profile Power Supplies or 1U Power Supplies up to 4000 watts. Inverter Power Supplies are a special and unique feature in PMI's product line with power ranging from 1000 Watts to 8,000 Watts. Hot Swap Power Supplies are offered by PMI in 1U, 2U or 3U racks or power shelves. Redundant Power Supplies is a great feature for those customers that need N+1 configurations.